Christmas Wrap: Netflix says no to offline viewing, Sky invests in Elemental Technologies | What Hi-Fi? From the news that Netflix is "never" going to introduce offline viewing to Sky's $4m investment in a US streaming software provider, here's the news in brief from What Hi-Fi? 's Christmas wrap. And we start this festive round up with Netflix. Any hopes you had of downloading content to watch offline may have to be shelved after the video streaming service insisted that such a feature is "never going to happen". 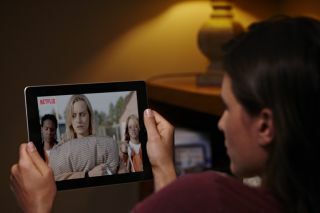 Speaking to TechRadar, Netflix's Cliff Edwards said offline downloads were "a short term fix for a bigger problem" that covers, for example, a lack of wi-fi coverage. Netflix seems, therefore, fairly set on its position. Sky has confirmed that it has invested $4m in Elemental Technologies, a US-based company that provides software to help broadcasters and pay TV operators stream content to a wide range of devices. The TV giant operates three of the UK's foremost over-the-top services – Sky Go, Now TV and Sky Store – and the investment is designed to help Sky in its work towards "next-generation IP video delivery". A partnership between Mexican designers Mob and Margules has led to the development of the MM01 – a sound system that incorporates Bluetooth and AirPlay connectivity among its features. According to designboom.com, the MM01 can stand alone or be wall-mounted; comes with two RCA inputs; and incorporates tube amplifiers in its design, as well as a marble shelf for your turntable. Eclipse has announced the launch of the new Android control app for the TD-M1 desktop system, which is now available to download for free from the Google Play store. The TD Remote for Android app lets you stream your music wirelessly from an Android device, as well as sort your music, adjust the volume and switch between power modes.